These tips will be perfect for your first visit to Sonoma Wine Country. 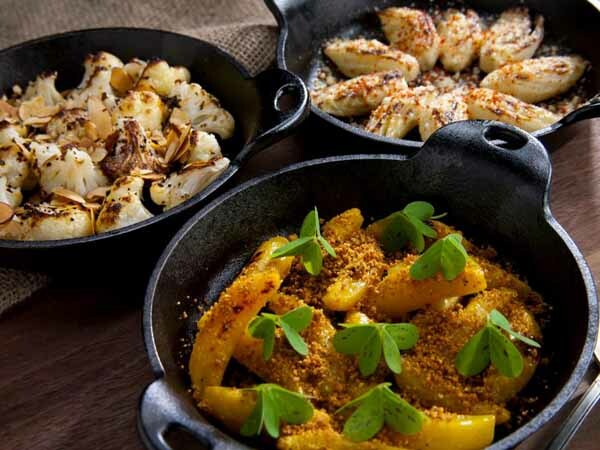 Feast on a Michelin-star dinner at the lovely Farmhouse Inn during your stay. 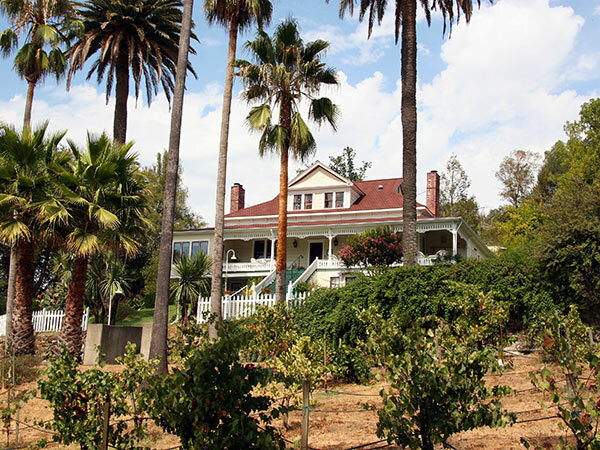 Visit Francis Ford Coppola's Winery, filled with memorabilia from many of the films he directed. So it’s your first time visiting Sonoma County Wine Country in Northern California, and you might be (understandably) a bit overwhelmed with all of the different options on what to do during your visit. With hundreds of wineries, restaurants, hotels, B&Bs, inns, and a million acres of gorgeous landscape to explore, it can be tough to know where to begin. But for all the marvels here, there are many “must-sees” that exemplify the Sonoma County experience, which are highlighted in this guide. 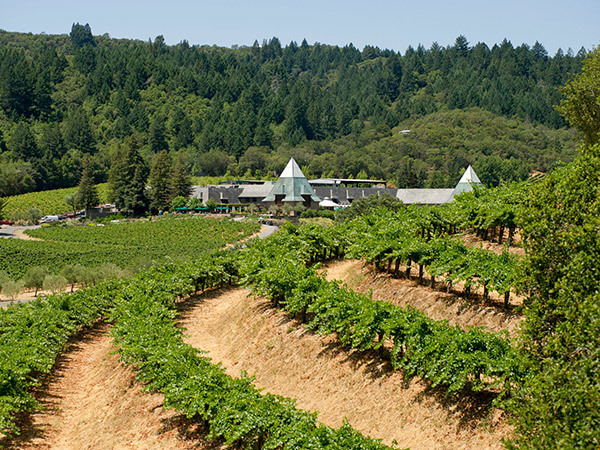 Below, you’ll gain a crash course on the authentic, classic wonders of Wine Country. You'll also be introduced to some of the best-known (and for good reason), top-notch experiences and things to do in Wine Country. Listed as No. 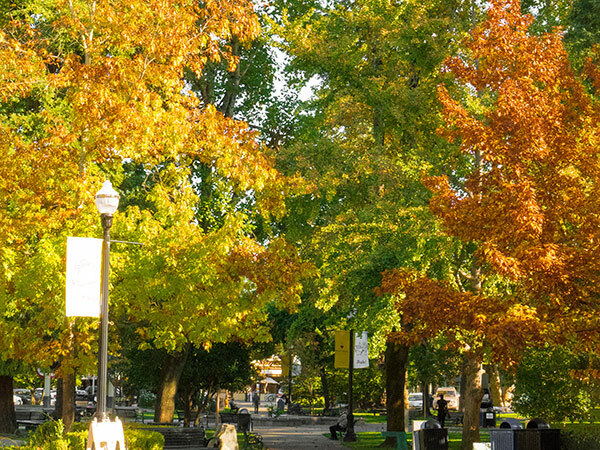 2 “Best Small Town to Visit in U.S.,” by Smithsonian Magazine, the northern Sonoma County town of Healdsburg is a perfect place to start for your first time in Sonoma Wine Country. Downtown Bakery & Creamery has been a staple for savory breakfasts since the café opened in 1987. And it still shines strong as a favorite for sticky buns, croissants, pains au chocolat, home-made jam pockets, donut muffins, bran muffins, blueberry scones, and whole-wheat scones with currants and orange, or cheddar cheese and thyme. For larger appetites, the pancakes or breakfast pizzas are a treat, as is the Croque Madame with ham, cheese, ricotta, poached egg, and pickles. You’ll want to get a peek at Alexander Valley, which is one of the most beautiful spots — of many, many breathtaking places — in Sonoma County. Travel a short bit through Healdsburg up to the hillside area, for a visit to Jordan Vineyard & Winery, and your 10 a.m., by-appointment library tasting. 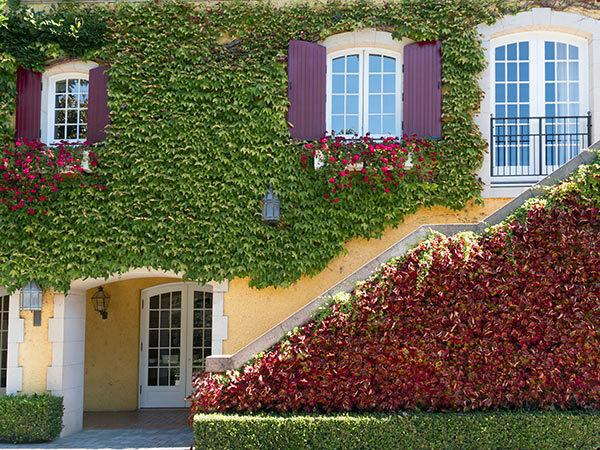 The estate has been legendary since the stone and stucco castle opened in 1972. The intimate tasting will give you an excellent overview of Cabernet Sauvignon and Chardonnay, in a guided, one-hour immersion accented by small bites. Then, head off to Francis Ford Coppola’s elaborate estate, just up the road on the edge of Geyserville, It’s a wonder of a resort from one of Hollywood's famous writers and directors, and gives a great dose of glam, since the enormous European-style chateau is topped with a glass pyramid. The property boasts a giant swimming pool and a museum brimming with movie memorabilia. On your return, take a jaunt down West Dry Creek Road, a gently curving stretch that is lined with winery after wonderful winery, breathtakingly beautiful vineyards, mountainscapes and a few destinations like the rustic-chic Dry Creek General Store. 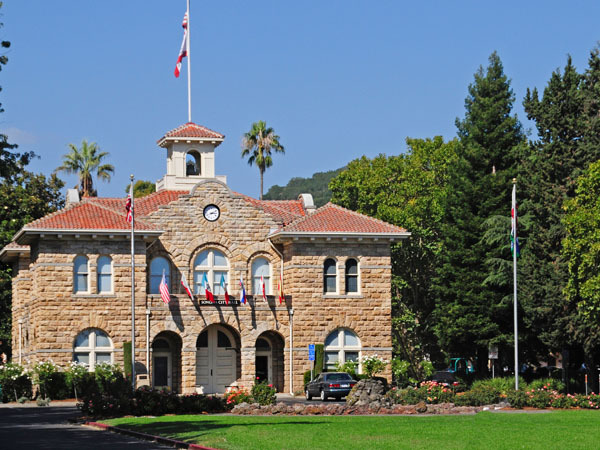 Next, head back to Healdsburg, for a walking and shopping tour of the downtown Plaza. First built in 1872, this pretty patch of green grass and concert pavilion has grown into a fantasyland of clothing boutiques, tasting rooms, restaurants, candy shops, and art galleries. It’s about time for lunch, but rather than a sit-down meal at a single spot, indulge in a walk-around feast with Wine Country Walking Tours. The guided stroll includes exclusive private seated tastings at boutique tasting rooms, plus lots of fine snacks like beignets, honey-drizzled St. Agur blue cheese atop Bosc pears, port with chocolates, freshly baked breads, charcuterie, olive oil, and French pastries. You’re probably ready for a little rest now, so head to your hotel. That might be the ultra-luxury Madrona Manor Wine Country Inn, a beautifully restored 1881 mansion set on eight acres of English gardens and wooded hillside. Or, for a more budget friendly rest, Raford Inn is nestled right in the vineyards of the Russian River Valley wine region. It feels like a whole other world, here, surrounded by vast open spaces, peaceful quiet, and the stars at night. The 1800s Victorian bed and breakfast is intimate with just five rooms, and featuring fireplaces, private baths, and a complimentary evening wine and hors d'oeuvres reception. Either hotel offers great opportunities for easy hikes exploring surrounding vineyards, or just settling back in the manicured flower gardens — a quintessential Sonoma County experience. Refreshed and rejuvenated, hop back in the car and take a leisurely drive to Forestville, for dinner at the Michelin-starred Farmhouse Inn & Restaurant. Dine on a seasonal menu sourced from farm-fresh local ingredients, in a setting both humble and elegant, with a romantic and timeless atmosphere. 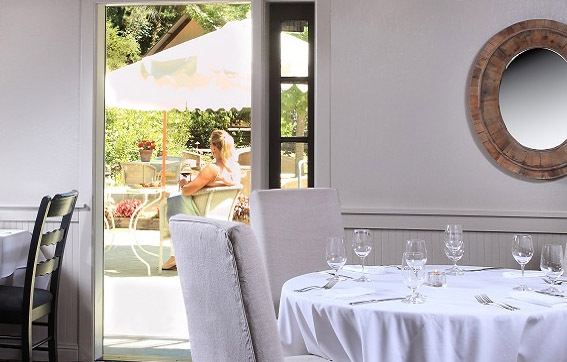 Start your day with the lavish, complimentary breakfasts spread out at both Madrona Manor and Raford Inn, then head over to the town of Sonoma. 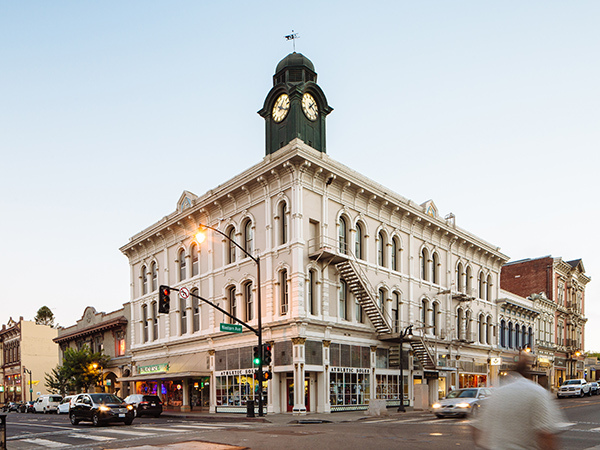 Along the way, you’ll drive through the old time quaint town of Petaluma, and you can stop here for a lovely morning of shopping the many antique stores, and snacking on hot-from-the-oven Della Fattoria breads spread with locally sourced preserves. Once in Sonoma, explore the county’s roots at Buena Vista Winery. Founded in 1857, this is the oldest commercial winery in California, complete with caves that are actual historical landmarks. The aging tombs have recently been renovated for modern safety measures, but remain elegantly dark and mysterious. The Wine Tool Museum and Tasting features a 20-minute light, sound, and visual show telling the history of winemaking through its tools. Guided paired tastings are the best way to explore everything, where a host first offers the barrel wine, then the finished wine, and explains the evolution. 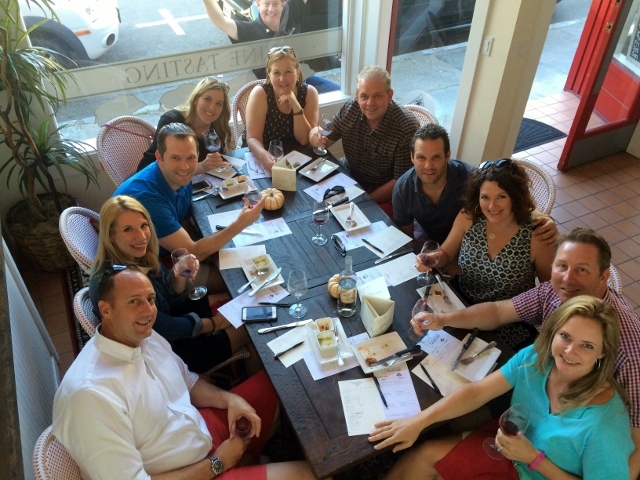 You can also leave the winery expeditions to specialists such as Sonoma-based Valley Wine Tours. It doesn’t get any easier, with no driving required, and you can pick your own wineries or go for themed groupings like the historic wineries package on a full day journey through four wineries. A picnic lunch is included between winery stops — artisan bread, cheeses, meats, olives, insalada caprese and cheese torta served on china atop linen. If you’re doing lunch on your own, the girl & the fig is famously Wine Country, right on the Sonoma Plaza. Sondra Bernstein is the proprietor of this Michelin Bib award-winning destination restaurant, giving us a charming, cottage-style café with a lavishly landscaped hideaway patio in the back. You will also find historic buildings on the plaza in the Sonoma State Historic Park, including the northernmost California mission. Settle in and relax over mixed seasonal heirloom radishes from the fig’s garden, dotted with anchovy butter and grey sea salt; savory pork belly sandwich brightened with fennel aioli, apples and cabbage on brioche with a side of frites; or wild mushroom ravioli plump with house-made ricotta, truffles, sweet onion purée, cipollini onions, and ancho cress. You can spend most of the afternoon wandering the wonderful shops here, and enjoying tastings at the many tasting rooms throughout. Hint: Highway 12 Vineyards & Winery combines the best of both worlds, offering complimentary wine tastings as you browse the home goods store the bar is housed in. You’ll also want to meet Lily, the rhinestone-collar-wearing black standard poodle who greets all customers at Kaboodle, an eclectic store saluting animal art. 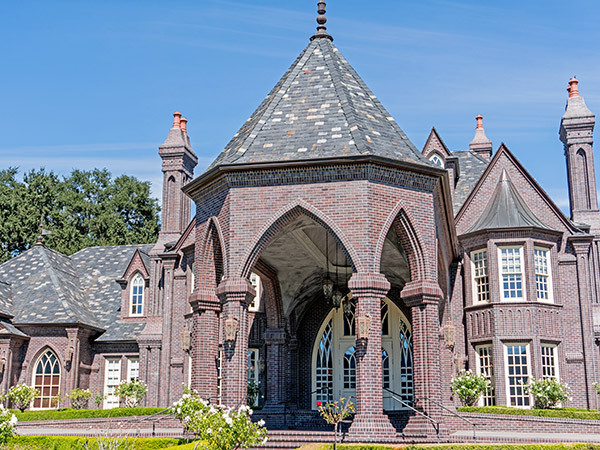 Or, go a little further into Sonoma Valley along scenic Highway 12 and visit other popular wineries on the way such as Kunde, St. Francis, Chateau St. Jean (see photo below), Ledson, VJB, Landmark and other Sonoma Valley wineries. Find your short way back to Sonoma through breathtaking wine country scenery. Now, check into your hotel and rest a bit. 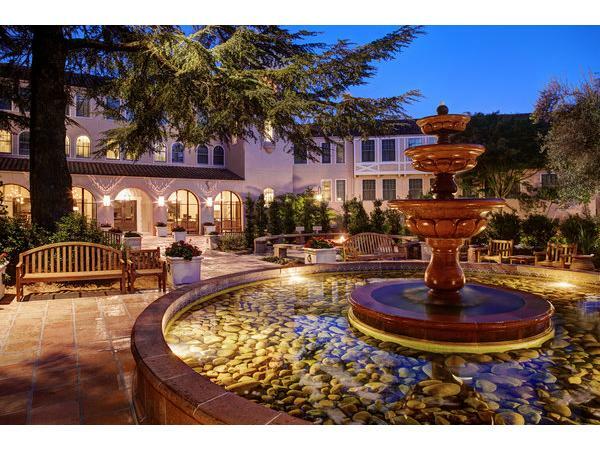 Fairmont Sonoma Mission Inn & Spa in Boyes Hot Springs just outside downtown of Sonoma is a classic, with geothermal hot springs that bubble up into the mineral pools and spa baths. It’s highly recommended you pamper yourself with what real Wine Country aficionados like to get — a massage. Another excellent lodging option is Sonoma’s Best Guest Cottages, just a short walk from the Plaza. The four one-bedroom cottages include private gardens set with teak furniture. For dinner, head to the quaint town of Glen Ellen, just 10 minutes north. 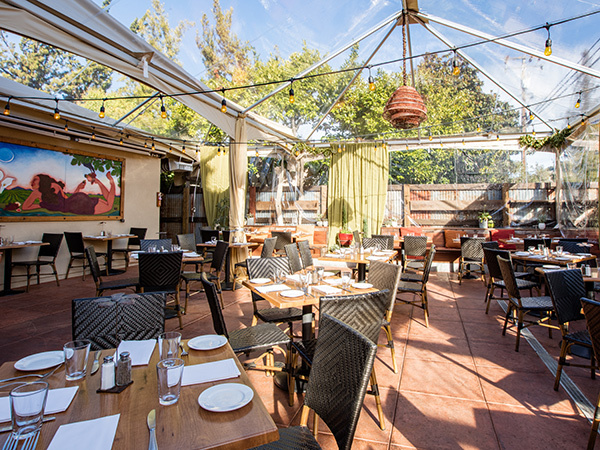 Your destination is Glen Ellen Star, where chef Ari Weiswasser packs all 24 seats nightly for his gorgeous California-Mediterranean cuisine that celebrates a fire-fed wood oven. The menu changes frequently with the seasons, but favorites include wood-roasted heirloom baby carrots smothered in Oaxacan mole and topped with sesame seed brittle; spring pea soup dolloped with ricotta gnudi and mint; wood-oven roasted lamb meatballs atop couscous, red charmoula, and preserved lemon; and homemade salted peanut butter ice cream for dessert. And now, it’s time for bed. What a wonderful adventure, yes? Your friends will be so impressed when you namedrop all the magnificent places you visited. And you will be ready, plus all the much wiser, to plan your return trip to Sonoma County very, very soon. Written by Sonoma Insider Carey Sweet.